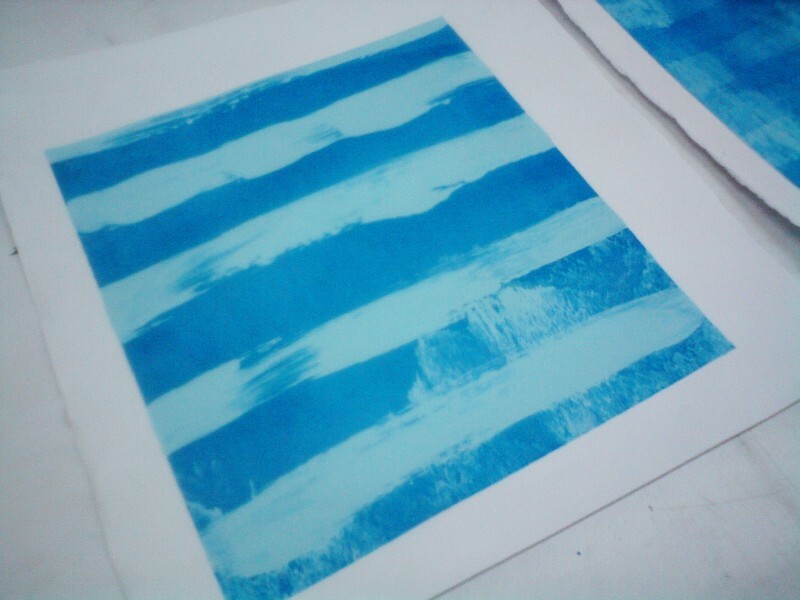 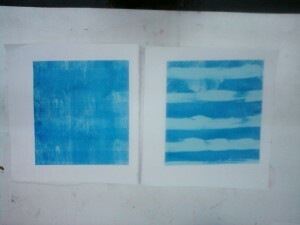 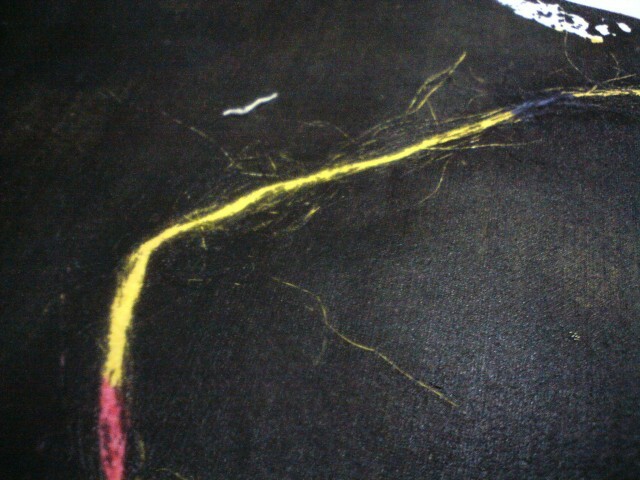 We’ve been experimenting with monotyping using excess textile ink we have piling up around the workshop. 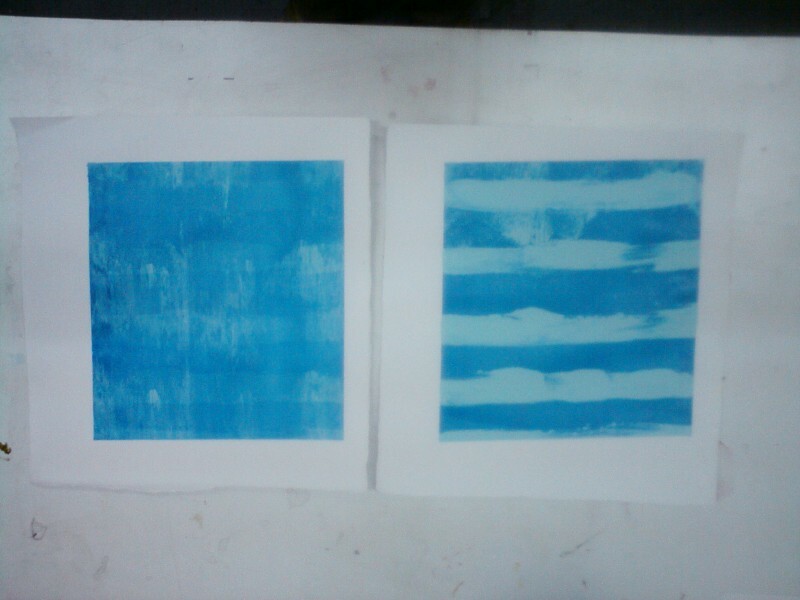 The black print above was made using a piece of twine under the screen, so that it would block out the black ink and reveal the first layer of color. 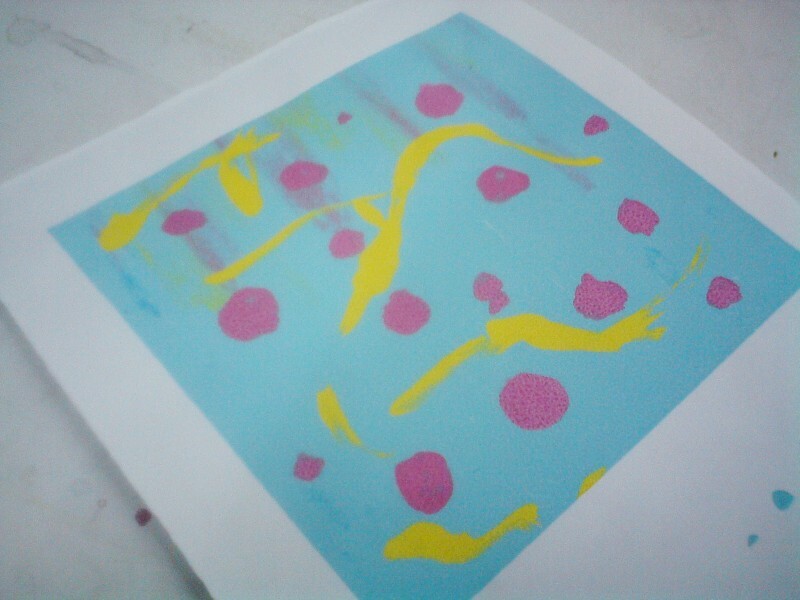 The other prints were made by painting directly on the screen then transferred onto paper with a squeegee.